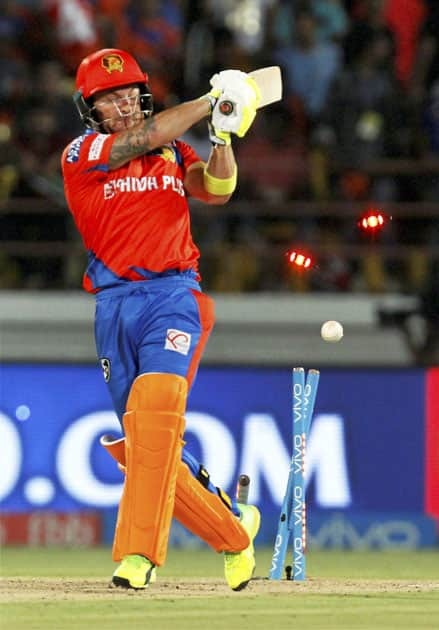 Gujarat Lions cricketer Brendon McCullum being clean bold during the IPL T 20 match against Mumbai Indians in Rajkot. 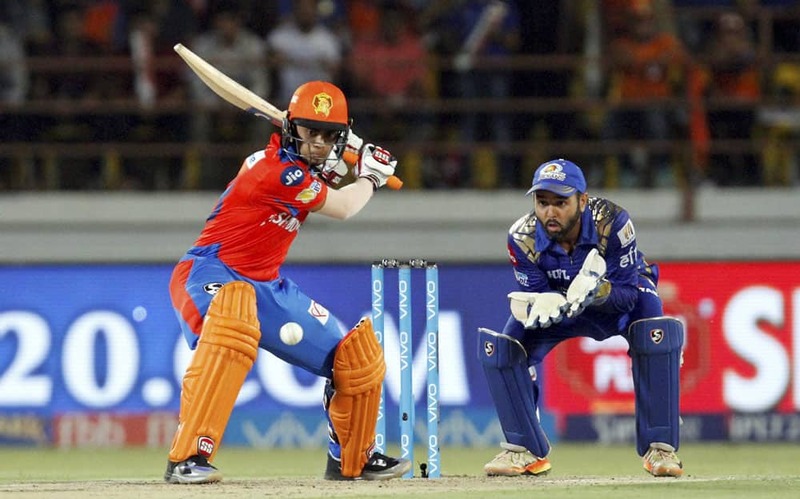 Gujarat Lions Batsman Ishan Kishan plays a shot during the IPL T 20 match against Mumbai Indians in Rajkot. 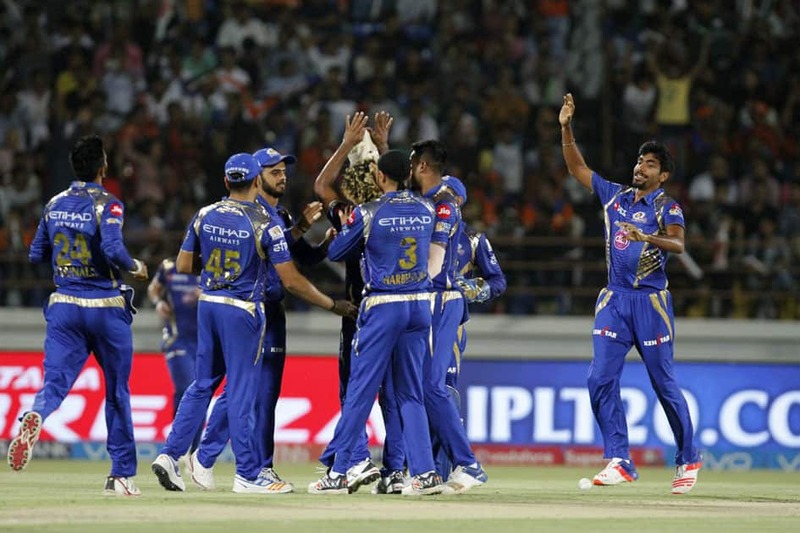 Mumbai Indians players celebrates the wicket of Gujarat Lions batsman Brendon Meccullam during the IPL T20 match in Rajkot. 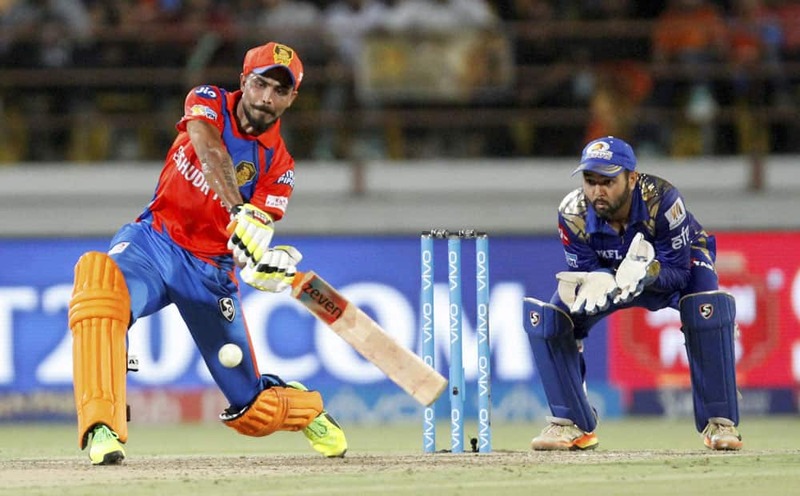 Gujarat Lions Batsman Ravindra Jadeja plays a shot during the IPL T 20 match against Mumbai Indians in Rajkot. 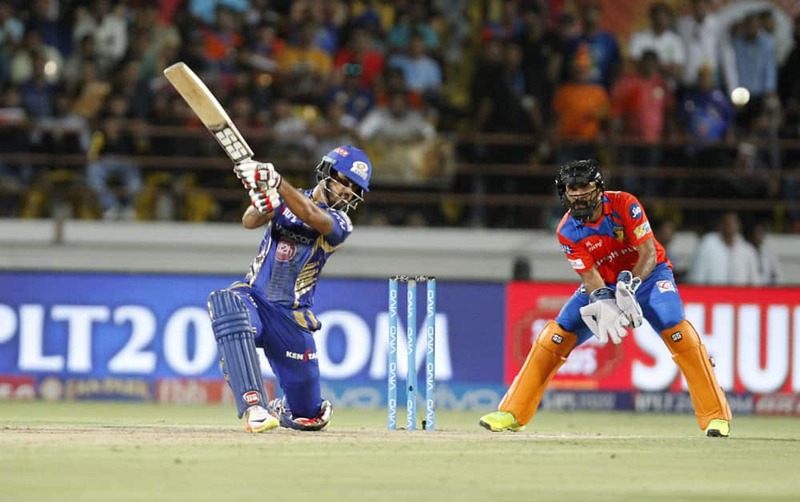 Mumbai Indians batsman Nitish Rana play shot during the IPL T 20 match against Gujarat Lions in Rajkot. 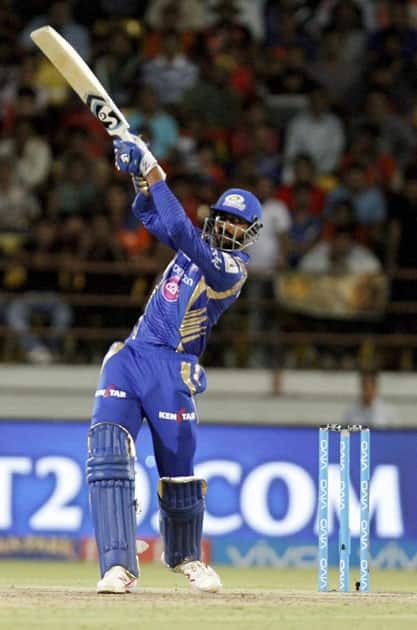 Mumbai Indians batsman Krunal Pandya play shot during the IPL T 20 match against Gujarat Lions in Rajkot. Gujarat Lions bowler celebrates the wicket of Mumbai Indians batsman Mitchell McClenaghan during the IPL T20 match played in Rajkot. 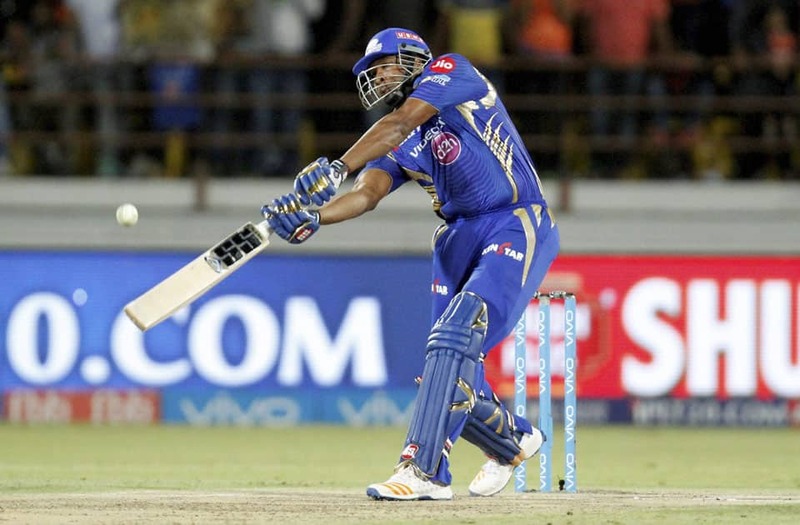 Mumbai Indians batsman Kiaron pollard play shot during the IPL T 20 match against Gujarat Lions in Rajkot.